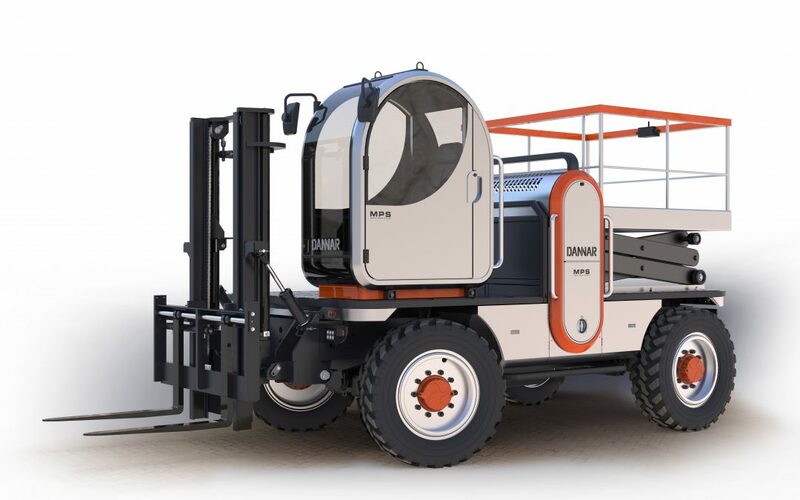 MUNCIE, INDIANA – DANNAR, a leader in zero-emission off-road technologies, is partnering with the San Joaquin Valley Air Pollution Control District to deploy the first Mobile Power Stations (MPS) in California at the Port of Stockton. The MPS is a robust off-road battery-electric mobile platform that offers multi-function capabilities that can efficiently replace multiple pieces of single-purpose, conventional diesel off-road equipment. Funded in-part by the California Air Resources Board through California Climate Investments, the project will help accelerate the commercial deployment of zero-emission off-road technologies, as well as significantly reduce greenhouse gas emissions, criteria pollutants, and diesel emissions to benefit adjacent and surrounding disadvantaged communities. Ports, airports, warehouses, and logistic centers throughout California today rely primarily on diesel technologies to move, load, and unload higher tonnage loads. To improve air quality impacts and accelerate the commercial deployment of zero-emission off-road technologies, the Port of Stockton will demonstrate two battery-electric 30,000-pound capacity forklifts with additional cargo handling attachments, including a multi-purpose cargo truck bed and scissor-lift. To support the battery-electric off-road equipment, ChargePoint, the world’s largest network of electric vehicle charging stations, will install two DC fast-chargers at the Port of Stockton. Bosch, a leading global supplier of technology and services, will install telematics on the vehicles to collect data and provide analysis for the Project. The zero-emission off-road equipment project is part of California Climate Investments, a statewide program that puts billions of cap-and-trade dollars to work reducing greenhouse gas emissions, strengthening the economy and improving public health and the environment — particularly in disadvantaged communities. The cap-and-trade program also creates a financial incentive for industries to invest in clean technologies and develop innovative ways to reduce pollution. California Climate Investments projects include affordable housing, renewable energy, public transportation, zero-emission vehicles, environmental restoration, more sustainable agriculture, recycling and much more. At least 35 percent of these investments are made in disadvantaged and low-income communities. For more information, visit California Climate Investments. Port of Stockton: “The Port of Stockton is excited to participate with our partners to demonstrate zero-emission off-road equipment to provide environmental and economic benefits to our community,” Richard Aschieris, Director of the Port of Stockton. Bosch: “Connectivity services provide a wealth of opportunities for improving our quality of life. Bosch is proud to provide connectivity-based services together with the Port of San Joaquin Valley Air Pollution Control District, DANNAR and ChargePoint as part of a comprehensive plan to help the Port achieve its emissions objectives,” Ron Ritz, Regional President Powertrain Solutions North America.